The Gunslinger Perdition is Kendall Culbertson’s take on a San Andrés wrapped cigar. 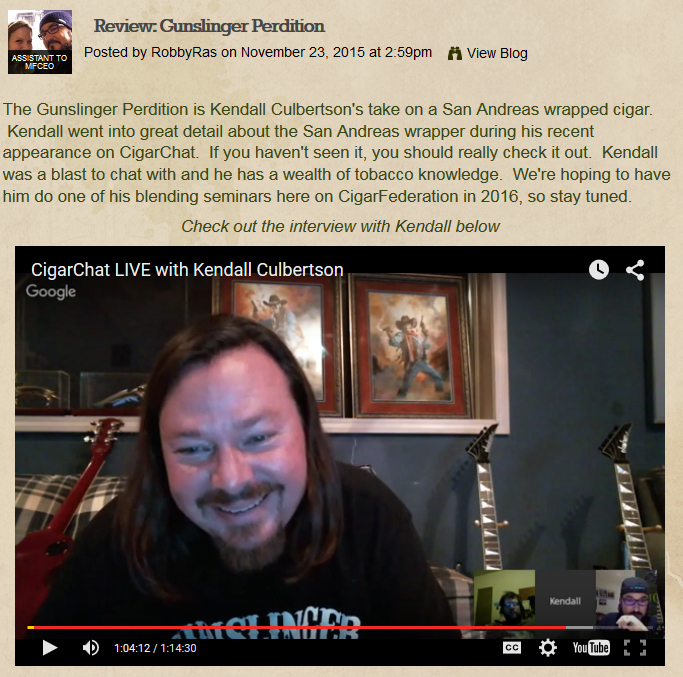 Kendall went into great detail about the San Andreas wrapper during his recent appearance on Cigar Chat. If you haven’t seen it, you should really check it out. Kendall was a blast to chat with and he has a wealth of tobacco knowledge. We’re hoping to have him do one of his blending seminars here on Cigar Federation in 2016, so stay tuned.